A daycare is a place where working/non-working parents drop their toddlers, babies or young children while their parents are busy with work and other important things. It is a place where these children can hang out, play and also learn with other children. These children are usually taken care of by professional handlers during the daytime while their parents then come to pick them up after work. With the size of Nigeria’s middle class growing and an increasing percentage of families having dual career parents i.e. both husband and wife having jobs, the necessity for services such as those provided by home daycare centers has become greater. Also, well publicized cases of domestic maids or nannies have ignited a preference towards patronizing the professional services a good home daycare center even at greater costs sometimes. Starting a home daycare is mostly done by full time housewives who in a bid of staying close to their children but still wanting to earn cash while at it. For one to start a daycare center, you must love kids and be very tolerant as kids can be very messy despite being sweet. So if you love kids, have a spacious comfortable home and want to earn income while staying at home, then you may want to consider opening a home daycare center. You will be in total control of how much you will be making either on a daily, monthly or weekly basis. It would be your sole responsibility to decide how much each parent would be paying for their kids or wards. If you are a mother, you would have be opportunity of spending quality time with your own kids while still earning income from your daycare center. Most career mothers wish they could have more time to spend with their kids; you have an advantage over them here. It doesn’t cost much to open and run: The best kind of business one can do is one that can generate enough profit while being run on a moderate overhead and low operating cost. Since you will be using your home, you would save the amount you would have spent on rent and transportation. The equipment and resources needed to start a daycare center are readily available. It is easy to set up and manage. It also doesn’t require any special skills so being a good mother who loves kids is enough criteria to open a home day care center. It could be fun. This is because if you love hanging around children, this would be a fun business to do as you will be earning income doing something you love doing. Employer of labor: Depending on the number of kids you’d be taking care of, you may have to hire one or two workers thereby impacting positively to your society. It is a very lucrative business: There is a high demand for daycare centers due to the increase in the number of negative news on live-in nannies and maids; hence parents prefer to drop their kids with a trusted day care center. The home daycare center, since they are mostly run on low operating cost, are much cheaper than the regular daycare centers and hence have the tendency of attracting quite a number of parents. The more kids you take in, the more money you make. Let’s say for example, you charge each parent between 5-10 thousand naira, depending on the age of their kids and this is as opposed to the 15-20 thousand naira or more they would have had to pay in a crèche or regular daycare center, and let’s say you take in about 10kids for a start, you’d be making approximately 50000 naira and a 100000 naira in a month. Remember, the more kids you take in, the more money you make. Factors to consider when starting a home daycare center. Location: Home daycare centers in Nigeria provide care for mostly pre-kindergarten kids usually between 6months and three years old. Locating the home daycare in areas where young families live/are migrating is a great strategy for this business, as such young couples are in their prime years of procreation. Also, an area that has more working class mothers, mostly those that work in offices, than full time housewives would be more profitable for this kind of business. State requirements: Looking into state requirements especially with regards to levies will help ascertain the profitability of the business. Licensing: You will have to determine if your home meets the definition of a day care and must be licensed. If you plan to take in below seven children then licensing isn’t so necessary but if you will be taking in over seven children, it’s advisable that you process the required forms, and register so that you don’t have to keep looking over your shoulder, hoping the government agencies won’t come and close it down. Staffing: If you are going to be taking in a large number of kids, say from seven and above, it is advisable to hire one or two workers, depending on the amount of kids you have. Taking care of one kid is a huge task so imagine how taking care of a number of them would be. So, to avoid being overly exhausted and drained out at the end of the day, it is better to hire helps. Evaluate your home with the children’s safety in mind: Children are a very playful bunch and since kids of these ages are unable to tell their right hands from their left hands, it is very important that any harmful objects such as sharp objects like knives, working tools etc. are nowhere near the kids. No parents would want to leave their kids with you and come back to meet them with one injury or the other. So their safety in your home should be of paramount importance. Decoration of your home: Before you venture into the home daycare center business, you have to have gotten the idea that your home is no longer just a home but a business environment, hence proper decorations that depict it as a daycare center has to be put in place. An example is those learning posters that are usually hung on the wall. Choice of name for your daycare center and your motto: Choose a name that is eye-catching as well as a name that passes a good message across. Decide on the fees you would charge: This will probably vary according to the age of the kids. Advertisement: Without advertisements, a lot of businesses are bound to fail or remain stagnant so you mustn’t fail to create proper awareness on your home daycare center. 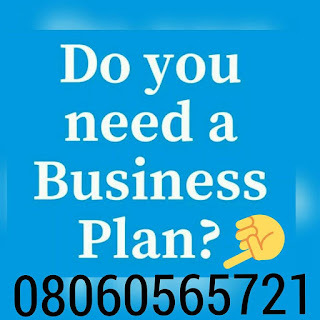 This could be by word of mout to your friends and family, making a small signboard and placing in front of your home, internet marketing and if you can afford it, adverts on media outlet such as the TV stations, radio stations and newspapers. Equipment needed for a home daycare center. Please bear in mind that you have to be willing to spend money to make money hence you should make sure you get all the important equipment needed to run the business. I like your write up on daycare business. I am already into it. Very demanding. But I find it interesting.